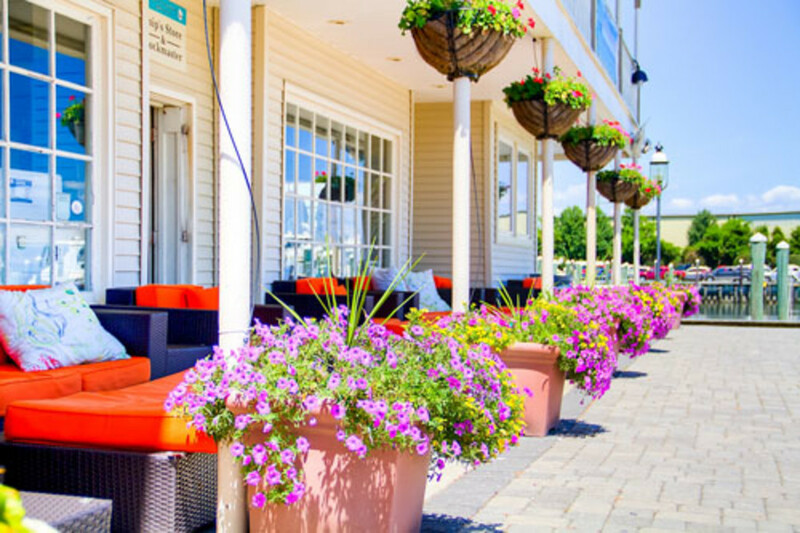 The South Jersey Marina received a 2013 beautification award from the Cape May Chamber of Commerce in honor of the marina’s rebound after a fire that preceded Hurricane Sandy. In August 2012, the marina suffered a major fire that not only destroyed its restaurant and yacht sales office, but also rendered most other marina offices, heads and retail spaces unusable, the company said in a statement. Two months later, Sandy flooded the entire first floor of the marina; the decision was made to renovate the marina from the floor up. This summer, the Salt Water Cafe — the keystone of the eight-month restoration — opened for business. Adjacent to the cafe a new retail outlet, Fathoms, features nautical apparel. Transient boaters visiting the marina now have access to state-of-the-art laundry facilities, showers and heads. An all new Ships Store will eventually house a delicatessen for patrons and casual visitors.